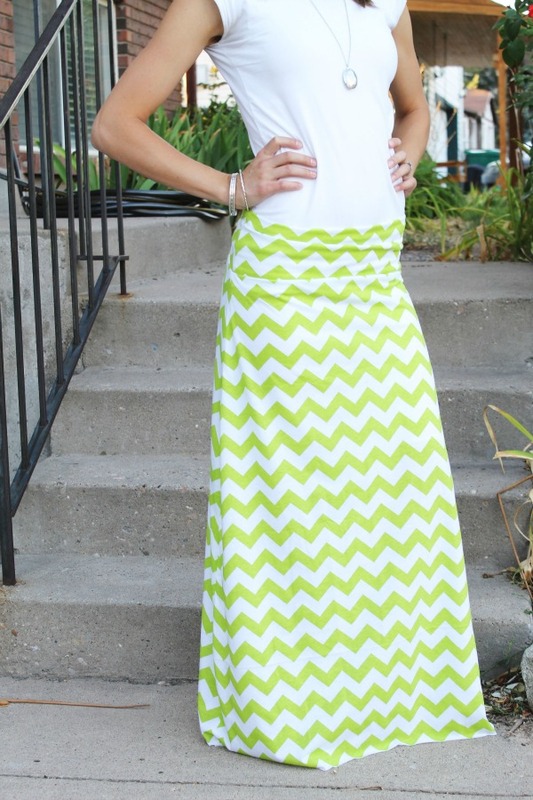 With just a couple of days left until the Chevron and Lace + Pretty Lovely Littles giveaway closes, I thought I'd show you one of my favorite maxi skirts thus far. I finished it yesterday, tried it on, and was surprised by how much I liked it! 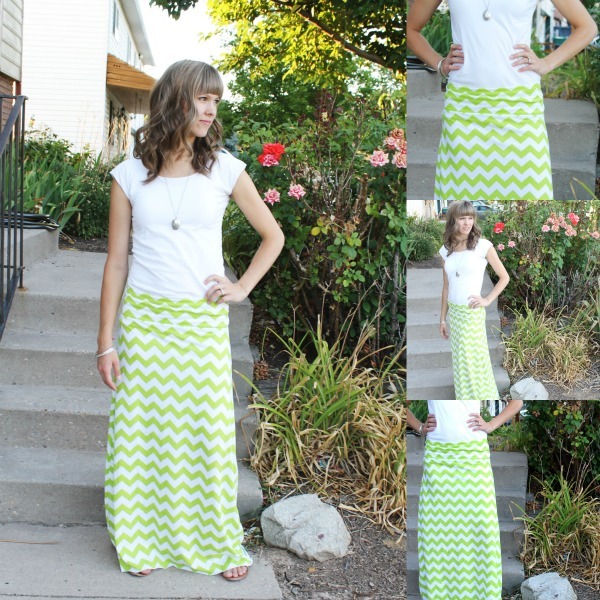 Well, I knew that I liked the style and the look of maxi skirts, but it was the color that surprised me. I'm not really a neon or super-bright-colored person. I like more muted colors... at least, so I thought. As soon as I tried this on and saw the way it brightened up my eyes and accentuated my natural skin color, I was totally sold. 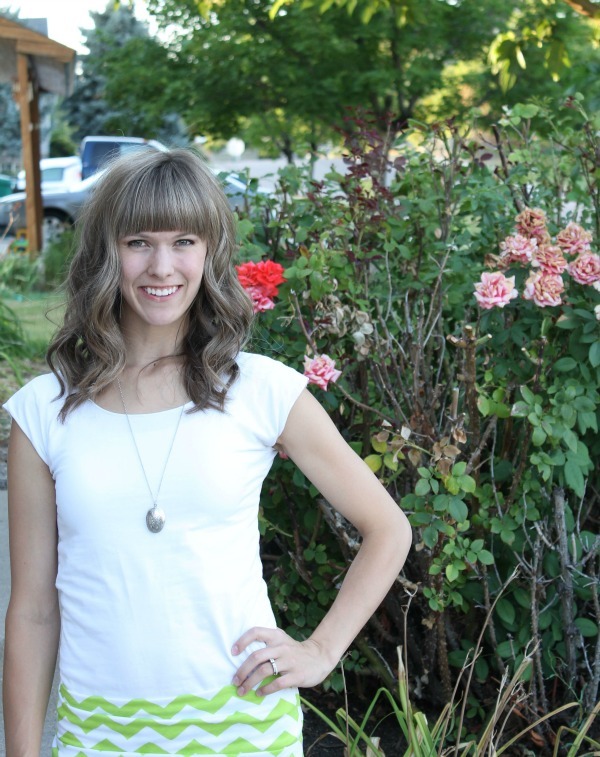 Nothing gives you confidence quite like the perfect outfit... And accessories for that matter! What quote would you want in your quote necklace? Inspiring? Funny? So if you haven't already, make sure you fill out as many entries for the maxi skirt (any color of your choice! 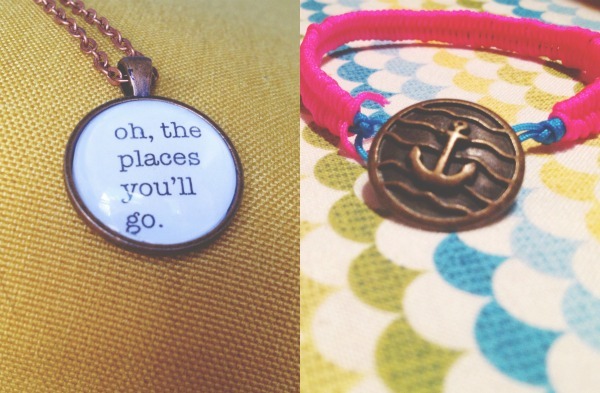 ), the quote necklace, and neon fishtail anchor bracelet. Plus, you'd be helping us get our shops and blogs out there. Only a couple days left! Good luck and thanks!